Raymond Lau Poo Seng's path to success as an artist has not been easy one. Afflicted with Tourette Syndrome since the age of 7, Raymond has lived with this neurological disorder for much of this life, and is given to sudden, involuntary movements or utterances. Born under humble family circumstances, Raymond did not fare well in the competitive Singapore school system, except in art and music. As a natural worrywart, Raymond has always been conscious of providing for his future and gaining acceptance in society. His typically Singaporean sensibility is acutely aware of his inadequacies in our education system, his difficulty in securing a stable career, and of the pressing need to make a living in our pressure-cooker world. It was his former principal, Mrs Tan Suan Imm, at Mount Vernon Secondary School that remembered his obvious talent for drawing and who introduced him to Brother Joseph McNally and the new LaSalle-Sia College of the Arts. Having entered the means to a viable profession, Raymond in the words of Brother Joseph was "totally single-minded and dedicated. He was intelligent and penetrating. He looked beneath the surface of thins to the underlying causes of phenomena. He was stubborn in the pursuit of his ideals." Successfully emerging with an Associate Diploma in Fine Arts (Painting) in 1991, Raymond participated in several local art exhibitions, achieving Highly Commended Awards in the UOB 10th, 11th and 12th painting of the Year Competitions, and a Certificate of Distinction in the 1993 Philippe Charriol Foundation Contemporary Art Competition. He entered the annals of Singapore art history by capturing the overall UOB Painting of the Year Award at the 12th Painting of the Year Competition in 1993 for his entry Echoes of the Window (I). The award also allowed for him to mount his first solo show the next year: Raymond Lau - The Experience since September 22nd, 1993. Raymond then went on to complete his Batchelor degree in Fine Arts in 1995 from the University of Tasmania, but not before suffering from a ruptured appendix, which almost cost him his life. It was his will to survive and thoughts of his family that pulled him through. Hoping for a salaried government job upon his return in 1996, it was not to be and despairing, he almost gave up painting. Two opportunities kept him going: noted art critic T.K. Sabapathy volunteered to curate his second solo exhibition Reality: Seen and Imagined (1997) for him at the Substation Art Gallery, Singapore and he became the first and only Singaporean artist to be invited to participate as a guest resident artist at Yaddo, the Saratoga Springs, New York retreat for working professional artists during May and June of 1997. While in New York, Raymond's work was appreciated and recognized, culminating in the solo Journey to the West (1998) at the National Arts Club, Gregg and Marquis Galleries, New York, USA. O.Aldon James, President of the National Arts Club, commented, "Raymond was his own architect in erecting the road to our high esteem and heart. His ability to transcend a physical handicap provides perhaps a heightened awareness of the richness of our world in terms of culture and dimensions of human spirit. Raymond reflects in his artwork the honey of perception which sustains him and we are lucky there is honey to spare for all those who love and need beauty to push forward." In New York, Raymond had the opportunity to meet Prime Minister Goh Chok Tong, Ambassador Tommy Koh and Permanent Representative to the United Nations, Mr Bilahari Kausikan, as well as visit several famous museums and galleries. Raymond's fourth solo show, curated again by T.K. Sabapathy at the Substation Art Gallery, was Canvas to Canvas (2000), his fifth solo exhibition, Motherland, at the end of May 2002 and sixth solo show, Mural... Musing on my wall, in 2003. Raymond has contributed to art in the community by participating in mural painting projects in Mountbatten RC Zone 5 (for which he received a plate of appreciation) and the Jurong Bird Park. He has conducted art classes for adults at Marina Square and for children at the Young Women's Christian Association. 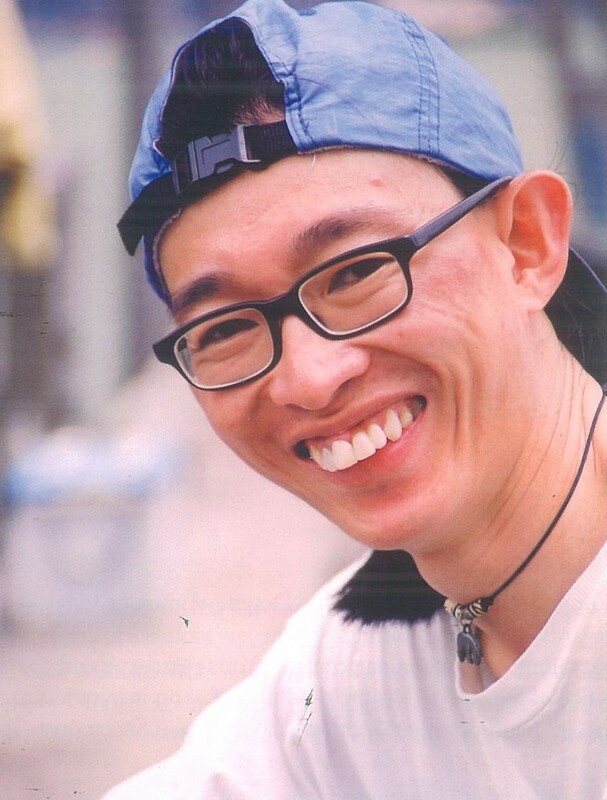 From 1997 to 1999, he volunteered as an art teacher for the disabled at Very Special Arts, Singapore. Raymond's story is thus one of triumph in the face of adversity. Despite numerous setbacks in his life, Raymond has ploughed on regardless, gaining encouragement and accolades along the way. Recognition for the mastery of his young talent culminated in the Young Artist Award for 2001, bestowed by the National Arts Council of Singapore. His life should serve as an inspiration to those born with disability, but beyond that, his paintings should continue to speak as a Singaporean soul to illuminate the human condition.